Patrick Manning founded the World History Center at the University of Pittsburgh in 2008 and served as Director until 2015. He established the Center's vision, mission and organizing principles. His guidance and stewardship over the last decade position the Center to facilitate interdisciplinary and internationally collaborative projects and initiatives. 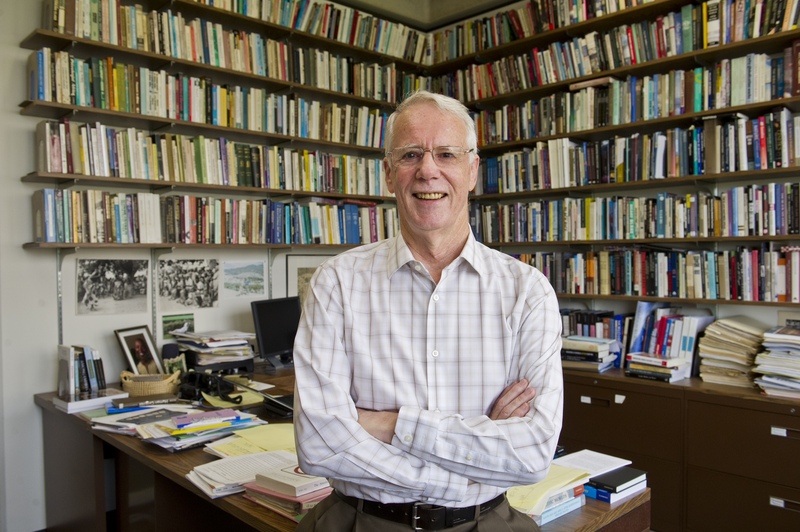 Professor Manning remains a tireless advocate for World History research and education. Among his many accomplishments, he founded the Alliance for Learning in World History, the Collaborative for Historical Information and Analysis, and the Network of Global and World History Organizations. His efforts earned the Center multiple research grants as well as stable institutional funding. During the 2015-2016 academic year, Professor Manning gave a series of lectures for the World History Center that spanned the various research themes that have marked his illustrious career. We are proud to offer videos from these lectures here along with a video of a Symposium in Honor of Patrick Manning that took place in March of 2016. An eminent scholar and a tireless and generous leader, Patrick's personal mentorship continues to inspire the current leadership and staff at the WHC. We are forever indebted to him for his vision, his knowledge and experience, and for his generous heart.